Start a 7-day NOW TV free trial today and enjoy unlimited streaming of thousands of popular movies with the Sky Cinema pass, or choose the Entertainment pass for access to over 300 box sets on-demand and 11 live TV channels including Sky One and Sky Atlantic. The Kids pass has popular shows to keep the little ones happy for hours, including shows from Cartoon Network and Nickelodeon. Join thousands of NOW TV UK subscribers and see what all the fuss is about! Dip in and out as you wish. Simply cancel online at any time with no questions asked. Get 7-days unlimited access to movies and TV shows when you start a NOW TV free trial. Watch movies and shows on your TV, laptop, tablet, phone and games console. Hundreds of box sets, live TV and thousands of newly-released top-rated movies. Unlimited, ad-free access to popular blockbusters including Dunkirk, Wonder Woman, Baywatch and The Mummy. Sky Cinema Pass auto-renews at £11.99 a month unless cancelled. You can cancel any time. Watch loads of great shows that aren't on Freeview, plus 11 live TV channels including Sky One and Sky Atlantic. Sky Cinema Pass auto-renews at £7.99 a month, unless cancelled. You can cancel any time. Child-friendly on-demand streaming, plus 6 channels including Cartoon Network, Nickelodeon and Boomerang. Sky Cinema Pass auto-renews at £3.99 a month, unless cancelled. You can cancel any time. Find answers to common questions about NOW TV passes and NOW TV free trial offers. 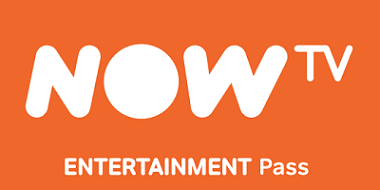 With NOW TV you can enjoy thousands of movies and the best of pay-TV on-demand and all without a contract. Choose from a huge selection of award-winning TV series, the biggest blockbuster movies, and popular content for kids. There's something for everyone with NOW TV - the choice is yours. Enjoy over 300 Box Sets on demand, including addictive new shows and award-winning dramas, or get access to 1,000+ movies on demand and a new premiere every day. 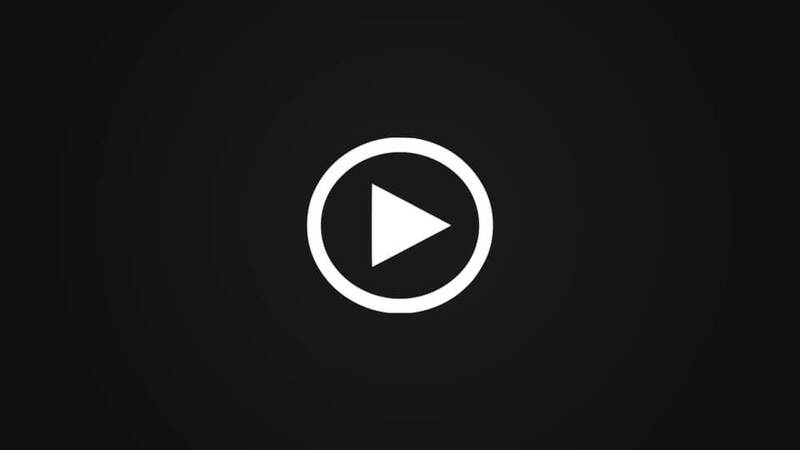 Watch on over 60 devices likes TVs, phones and tablets. With NOW TV you'll be streaming ahead in no time at all. What is a NOW TV month pass? A NOW TV month pass is your ticket to watch what you want, on your terms. You can get a month long pass for Entertainment, Kids, and Movies - all without a contract. Get started with a 7-day free trial. Choose your free trial offer. Create a NOW TV account (only takes 2 minutes). Browse and watch online or download the NOW TV app to your phone or tablet. Sky Movies Month Pass - watch movies online. After your 7-day free trial, the NOW TV Sky Movies month pass renews at £11.99 per month until cancelled. Entertainment Month Pass - unlimited TV streaming. After your 7-day free trial, the NOW TV Entertainment month pass renews at £7.99 per month until cancelled. Kids Month Pass - popular kids TV. After your 7-day free trial, the NOW TV Kids Month Pass renews at £3.99 per month until cancelled. NOW TV passes can be cancelled online at any time. You will still be able to enjoy the benefits until the end of the billing period. Is it safe for my kids to use? NOW TV has a Parental PIN feature which you can enable to stop younger family members seeing age-inappropriate content. It's easy to set up, just turn on your Parental PIN and choose what age rating you want it to apply to. 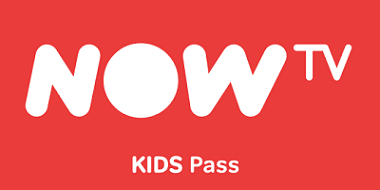 The NOW TV Kids pass is designed specifically for younger children. It's safe, easy to use, and has great content aimed at kids. Does NOW TV have adverts? NOW TV is completely ad-free! Never let adverts spoil your enjoyment of movies and TV when you stream on-demand - just sit back , relax, and stay in-the-moment. How do a get a free NOW TV trial? Getting started is really simple! Just choose which pass you like the sound of and click the green 'Start Free Trial' button to visit the NOW TV website where you can create an account and start watching movies and TV in under five minutes! Who can try NOW TV for free? Free trials are available to all new customers. If you have had a free trial before, you are still eligible for a free trial with a different monthly pass. For example, if you have had a Sky Cinema free trial in the past, you are free to start a free trial of the Entertainment pass now. How can I cancel my free trial? To cancel your free trial, log into your NOW TV account and select My Passes from the My Account menu on the top right of the website. Follow the instructions to cancel your NOW TV passes. If you cancel online at any time during your free trial, your payment card will not be charged. After your 7-day free trial, you can carry on watching and we'll automatically take a payment from your bank. There's no contract, so you can cancel at any time by logging in to your account, if you've started more than one free trial or offer then passes can be cancelled individually. Simply dip in and out whenever you want! To reactive a pass just log into your account and go to My Passes. Can I have multiple free trials? Of course! You can get a 7-day free trial of Entertainment, Movies and Kids. Select one to start with and you can add the others once your account is set up. When you first sign up for a Sky Cinema Month Pass, you get a 7-day free trial. Your first payment will be made 7 days after you sign up, and then the same day each month for ongoing payments. There is no contract, cancel online at any time. If you cancel during your free trial, no payment will be taken. What devices work with NOW TV? Watch on your TV with the NOW TV Smart Stick. NOW TV is available on Chromecast, Roku, LG Smart TVs, Samsung Smart TVs (models from 2015), Youview, EETV and Apple TV. Watch on the go with the NOW TV app on your smart phone and tablet. Available on Android and iOS. Games consoles: PS3, PS4, Xbox 360 and Xbox One. Watch online on your PC and Mac. Can I download to watch offline? No, you cannot download shows/movies. NOW TV is a streaming-only service. Can I get TV and movies with subtitles? Yes, subtitles are available on some devices on selected movies and shows, just look out for the S symbol in the show information. Does NOW TV work with my Sky box? No, you won't be able to watch NOW TV on your Sky box but if you want to watch movies, TV shows and sport on your TV screen, why not check out our NOW TV Box? Do I need fast broadband? NOW TV is designed to work with most standard Internet connections. When using a broadband connection or WiFi, you need a speed of at least 2.5Mbps. For mobile devices with a 3G or 4G connection, the minimum speed needed is 450Kbps. If you are able to watch videos on YouTube or BBC iPlayer, you shouldn't encounter any issues with NOW TV. What is a Sky Cinema month pass? The Sky Cinema Pass is your ticket to the biggest and best movies available on any streaming service. NOW TV has the latest blockbusters and hundreds of classics on demand. The Sky Cinema month pass also gives you 11 Sky Cinema channels and a premiere every day. All without a contract. New customers get a 7-day free trial, then it's £11.99 a month. There's no contract, so you can cancel at any time. What movies are on NOW TV? 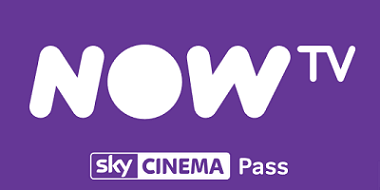 With NOW TV, you can watch the latest movies before they are available on any other online service. There are over 1,000 movies to choose from, with a new movie added every day of the week. Browse the movies on NOW TV here, or sign up and get stuck in now. What is an Entertainment month pass? The Entertainment pass gives you loads of great TV shows, with over 300 box sets available to stream on demand. Plus, TV entertainment channels that aren't on Freeview like Sky One and Sky Atlantic. All without a contract. New customers get a 7-day free trial, then it's £7.99 a month. There's no contract, so you can cancel at any time. What TV series are on NOW TV? NOW TV has hundreds of popular TV shows including Westworld, Scandal, Silicon Valley, Billions, NCIS and many more. NOW TV is constantly updating and adding to their selection of catch-up shows and box sets. Browse the TV series on NOW TV here, or sign up and get watching now. What is a Kids month pass? The Kids pass from NOW TV has 1000's of episodes of quality kids TV on demand with no adverts and no contract. Designed with children in mind, the Kids pass is easy for kids to use and will keep them entertained for hours with their favourite cartoons and live TV channels. New customers get a 7-day free trial, then it's only £3.99 a month. There's no contract, so you can cancel at any time. What kids TV shows are available? The kids pass has great content from Boomerang, Sky Kids, Cartoon Network and Nickelodeon. Popular shows right now include: Josh and Drake, Transformers, Pokemon, Super Ninjas, My Little Pony, and Kid Danger. Browse the Kids TV series on NOW TV here, or sign up and jump in now. What channels are on the Kids Pass? Head over to NOWTV.com/faqs for more answers. Above information and prices valid for NOW TV UK and customers residing in the United Kingdom. Stated savings in relation to special offers are in comparison to the standard price of NOW TV Month Passes. NOW TV terms apply, which can be read at nowtv.com/terms. This promotional website is not published by, sponsored by or in any other way connected with NOW TV or any associated companies or related businesses. This informational webpage is intended to provide useful information to customers who are interested in learning more about the unique features of NOW TV monthly subscription passes and those looking at trying out a NOW TV free trial. NOW TV logos and service marks are © NOWTV. All other trademarks belong to their respective owners and are included here for illustrative purposes under the terms of fair usage. NOW TV is a trading name of Sky UK Limited (Company Registration No. 2906991), registered at Grant Way, Isleworth, Middlesex, United Kingdom, TW7 5QD. Features and pricing correct at time of publication. Whilst we monitor ongoing changes and react, please ensure you always check the merchant's website for full terms and conditions and up-to-date service information before joining any subscription services.